Getting outdoors offers plenty of rewards of which we’re all aware: nice scenery, wildlife spottings, a challenge to our physical and mental mettle, and that time-honored benediction of getting ‘a bit of fresh air’. Wouldn’t it be dandy if doing so also came with a number of other benefits, such as seriously bettering our mental and physical well-being, boosting our creativity, reducing stress, and improving our sleep patterns? Well, dear reader, these are indeed just a few of the many benefits to be reaped from spending more time out and about in nature. Not bad, right? But also not all…not by a long shot! In this article, we’re going to cover all of the above and also introduce you to the somewhat vast number of other health benefits of being in nature. 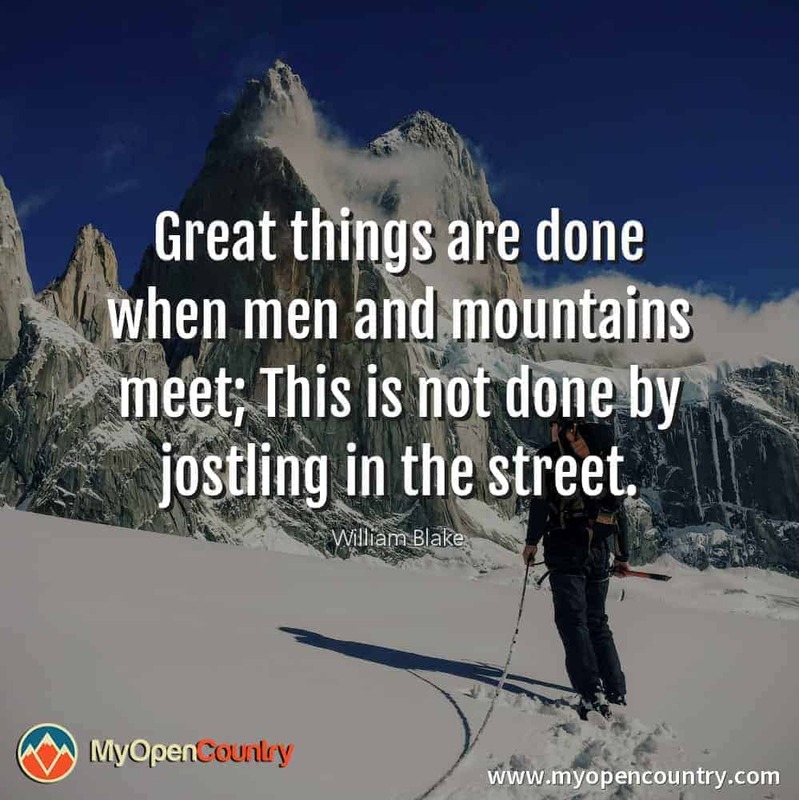 After that, we’ll take a look at why being outside is important and how to go about getting your fix of outdoor goodness, even when you’re busy or geographically deprived as regards proximity to the world’s more illustrious outdoor stomping grounds. Before we get down to all that, let’s take a quick look at some of the key ‘take-homes’ we’ll cover. Think you have to be climbing lofty mountains, trekking dozens of miles, or halfway across the Yukon to reap nature’s many rewards — a few trees, a bit of grass, and the absence of technology, traffic, and towering buildings will do the trick! How Much (or Little) Time Do We Spend Outside? For those of you who just want a quick overview of all the great physical and mental benefits of hiking, backpacking, camping or any of the other ways of spending time in the great outdoors, we've put together a handy infographic for your consumption below. If however, you're keen to get stuck into the main article, then jump ahead here. Research shows that we’re now spending more time indoors than at any other point in human history, with the average American spending a total of 93 percent of their existence inside (87 percent in enclosed buildings and 6 percent in vehicles). Given the average US life expectancy of around 79 years, that makes roughly 73 and a half years estranged from the general, health-giving goodness of natural outdoor environments. They’re probably not too keen, for example, on our exposure to the crazily high concentration of indoor pollutants, which EPA New England estimates as 2-5 times higher than outdoor concentrations and are a potential cause of respiratory diseases, heart disease, and even cancer. They object, most probably, to the ubiquitous presence of fluorescent lights and computer screens, which can lead to migraines, mercury poisoning, back problems, and nearsightedness, amongst other ailments. We’d bet they’re also not great fans of the more sedentary lifestyle life indoors entails, which has been shown to increase our chances of memory loss, psychological problems, diabetes, cancer, and erectile dysfunction, to name just a few of the grimmer eventualities. One of the greatest reasons that being outside is important, however, is that the division of our time between inside and out is effectively a zero-sum game: the amount of time we spend indoors automatically detracts from the amount of time we spend outdoors, and vice versa. Given that the latter has so many benefits to offer us both physically and mentally, doing a little or lot less of the former is fast becoming a necessity as opposed to a recreational luxury we can squeeze in during downtime from the daily grind. When the dude responsible for giving the world the Hippocratic Oath says something’s good for your health, there’s a fair chance it’s worth taking note. The world might have changed a lot since ole Hippocrates’ day, but we humans are much the same. Nowadays, moreover, his claims are being increasingly backed by teams of whitecoats and scientists whose research is showing that time spent outdoors equals good time for our physical and mental well-being. Ben Klasky of IslandWood gives a brief intro to some of these benefits in the following video from Tedx. For all the rest, read on! ​Vitamin D deficiency can lead to something of a smorgasbord of health issues, including heart disease, dementia, stroke, diabetes, auto-immune disorders, multiple sclerosis, osteoporosis, Alzheimer’s, and even cancer. Yep, it’s kind of a biggie, but reducing the risk of falling foul of any of the above is relatively simple. The best and most abundant source of the hormone vitamin D is sunlight, which is maybe the outdoors’ second most pervasive commodity after only oxygen (and midges, if you live in Scotland). A recent study from John Hopkins University also found a synergistic link between exercise and vitamin D levels, thereby suggesting that getting our exercise outdoors is pretty much the ideal way to maximize our health-boosting vitamin D hit. In a nutshell, the study revealed that the more exercise we do, the higher our vitamin D levels, and the higher our vitamin D levels, the lower our risk of heart disease, stroke, and a number of other ailments. Spending most of our time indoors is a relatively new thing for our species. Back in our cave man days, and even as recently as the start of the Industrial Revolution, the vast majority of homo sapiens spent most of their wakened hours outside. In the 21st century this is no longer the case and, consequently, our natural sleep patterns are, well, a bit messed up. Our sleep patterns are regulated by something called our circadian rhythm — essentially, our internal body clock — which is innately tied to the daily comings and goings of the sun. If, however, we spend too much time inside and expose ourselves to too much artificial light, then our internal clocks go haywire. Getting outdoors and exposing ourselves to sunlight can ‘reset’ our circadian rhythm and restore a more natural sleep pattern. This was demonstrated in a recent study from the University of Colorado, Boulder, where the majority of participants who spent a few nights camping in the outdoors were able to reconfigure those internal clocks to a more natural and healthy setting. Additionally, strenuous exercise can greatly improve our chances of copping a healthy amount of Z’s at the end of the day, as demonstrated in several studies which have found that those who feel more alert and invigorated during the day sleep both sounder and longer at night. Inflammation can contribute to autoimmune disorders, depression, cancer, and inflammatory bowel disease. A Chinese study, however, has shown that both the causes and symptoms of inflammation can be reduced by spending more time in natural environments as opposed to towns or cities. While the research is still in its infancy, a second study has given hope that heading outdoors might just be pivotal in reducing the risk of both chronic and acute inflammation. These days, one of the most serious risks to our eye health comes in the form of something called Computer Vision Syndrome (CVS), which occurs when we spend long periods of time in front of our laptops, desktops, tablets, and smartphones. The symptoms of CVS include blurred vision, dry or red eyes, double vision, headaches, migraines, irritation around the eyes, and neck or back pain. The risk of encountering any of these can be vastly reduced by fleeing the screens and allowing our eyes to focus on objects further away — ideally in wide, open spaces (kinda like those you’d find in the great outdoors!). To reduce our chances of succumbing to the second risk posed to our eyes by spending too much time indoors — nearsightedness — those spaces needn’t necessarily be wide or wild, but only natural and free from artificial light. Nearsightedness has seen a 17 percent increase in the last 50 years in the US. A 2007 study, however, showed that children with congenital nearsightedness are four times less likely to inherit their parents’ trait if they spend at least two hours per day outdoors. A sketchy diet and being overweight can greatly increase our risk of many health problems, most notably high blood pressure and Type 2 Diabetes. The good news for outdoor lovers and reluctant gym-goers is that moderate-intensity exercises, such as hiking or cycling, can actually be as effective in reducing the risk of high blood pressure and Type 2 Diabetes as more dynamic and strenuous outdoor activities. Over the course of a six-year study, Researchers at Lawrence Berkeley National Laboratory in California analyzed more than 30,000 runners in the National Runners’ Health Study and over 15,000 walkers in the National Walkers’ Health Study. Their findings demonstrated that walking and hiking resulted in similar reductions in risk as vigorous-intensity exercise (running, cycling) for high blood pressure, high cholesterol, diabetes, and coronary heart disease. Another study from the National Heart, Blood and Lung Institute supported these findings by showing that just a short hike can reduce blood pressure by a healthy 4-10 points. The American Heart Association states that we need only 75 minutes of vigorous physical activity and 150 minutes of moderate activity per week in order to ensure a healthier heart and less chance of having a stroke. Just one, three-hour hike per week, then, is enough to do the trick! The Japanese pastime of ‘forest bathing’ or ‘Shinrinyoku’ is, in western terminology, what we’d call going for a ‘walk in the woods’. A long-term study begun in 2005 revealed that forest bathing trips impacted positively on human immune function, and also found that not only did recreational tree-time boost immune system during the trip but continued to do so for up to a whopping thirty days after a 3-day stay in the forest. A bold claim, to be sure, but one that’s gaining more and more backing by doctors and scientists worldwide. In the UK, the Chief Medical Officer stated in 2014 that walking for just 150 minutes per week could significantly reduce our risk of getting cancer or minimize the risk of the disease recurring. This claim was later backed by the UK-based Macmillan Cancer Support Foundation, which claims that people with prostate and breast cancer can cut their risk of dying from the disease by as much as 40% simply by walking a mile a day. As mentioned above, a number of other benefits derived from spending time outdoors such as weight loss, reduced inflammation, less exposure to air pollutants, and increased vitamin D intake have also all been linked to reduced risk of cancer. Stress is a weighty enough issue in itself, let alone when accounting for its various knock-on effects and contribution to our risk of heart disease, stroke, anxiety, and a variety of other psychological and physical health problems. The bad news is that these days, ‘stressors’ such phones, tablets, and computers are hard to avoid and capable of wreaking all kinds of havoc on our health. The good news is that popping outside those stressors’ strongholds (offices, living rooms etc.) to a more natural neck of the woods can have a hugely beneficial effect on stress levels, as revealed by two studies in particular. In the first of these studies, researchers in Holland found that just a 30-minute gardening session was enough to significantly reduce participants’ cortisol levels compared to those of other participants sent to read a book for half an hour. A second, Japanese study was similarly encouraging for the non-greenfingers amongst us, showing that walking in nature for as little as 20 minutes can be enough to significantly reduce subjective feelings of stress and anxiety. Researchers in the study also recorded far lower stress hormone levels in participants after their forest walks than after a second walk in an urban environment. Perhaps the most significant and conclusive studies into nature’s remedial influence on our mental health have been in the battle with depression and anxiety. One such study from Stanford University found that participants who went for a walk in a natural environment showed less neural activity in the area of the brain associated with depression than in other participants walking in an urban environment. A more recent study published in Environmental Science and Technology, moreover, revealed that immersing ourselves in natural scenery doesn’t only cut the risk of becoming depressed in the first place but also mitigates the symptoms of depression for those already suffering from the illness. Finally, yet another study highlighted the positive impact of nature’s soothing sights and sounds, showing that the ear and eye-candy found in outdoor environments, when combined with physical activity, helped to elevate participants’ moods and reduce the symptoms associated with anxiety. In addition to the above findings, spending time in nature also increases our intake of Vitamin D, serotonin levels, and exposure to the ‘negative ions’ mentioned above, all of which have been shown — to greater and lesser degrees — to decrease anxiety, depression, and improve our overall sense of well-being. In addition to the Vitamin D boost noted above, exposure to natural light has recently been shown to be conducive to higher self-esteem and better moods, particularly when combined with ‘green exercise’. Researchers at the University of Essex in England reported that as little as five minutes of green exercise could be enough to provide a psychological lift. Further studies from Australian researchers and the University of Kansas have drawn a link between the effects of natural light and combating Season Affective Disorder (SAD), with the latter study suggesting that a mere 30 minutes of sunlight per day can help us have a happier outlook on life. You don’t have to be competing in ultras, scaling lofty peaks, or cycling across small nations to get your fill of the much-exalted runner’s high. This physiological feel-good ‘phenomenon’ occurs as a result of our bodies releasing endorphins during exercise, whether it be high-intensity or of a more moderate variety such as walking or cycling. Endorphins are, essentially, chemicals that are scientifically proven to better our mood and mental states, and which can also contribute to alleviating the causes and symptoms of both stress and anxiety. Overdoing it at work, overdoing it on the PlayStation, and overdoing those marathon viewing sessions of Game of Thrones are just a few of the ways in which we bring our brains to the point of burnout. Such habits, in combination with the detrimental effect of other stimuli (phones, advertising, traffic, bosses), mean our brains rarely have time to switch off and normalize, which is exactly what they tend to do, gladly, when we head outdoors. Apparently, even just looking at pictures of the outdoors could do the trick, but we’d highly recommend getting out to enjoy the real thing. This is the sort of thing people would pay millions for. And yet, many of the above points and studies demonstrate that it’s accessible to all of us for the cost of maybe a few drops of petrol, fewer hours on Facebook, and a half-time granola bar or two. Not bad, in terms of value for money. Cumulatively, the potential health and quality of life benefits the outdoors offer amount to something big pharma would be terming a ‘miracle drug’ if discovered or created in one of their labs. Not too fussed about all this bettered mental and physical health business? Well, even if you’re a model of health both bodily and brain-wise, spending time in nature offers oodles of other potential benefits that might just sway you into getting out there more often, some of which are covered in the short video below. A Finnish study of boys and girls in aged 5-9 recently demonstrated that arithmetic skills, reading fluency, and reading comprehension are all impacted positively by spending more time partaking in moderate-intensity exercise outdoors. These findings were subsequently corroborated by a similar study on older children. Over the years, many creative big-cheeses have sworn by a little bit of nature-time to lubricate the old creative cogs: Wordsworth, Thoreau, Nietzsche, Frank Lloyd Wright, Keats, Emerson, William Blake, Jack Kerouac, Georgia O’Keefe, and Cezanne are just a few. Even if you don’t aspire to their lofty heights of endeavor, there’s mounting evidence to suggest that the outdoors could well be the tap that fills your creative pint. The most notable example of this evidence was a 2012 study conducted by the University of Kansas. The study showed that spending time in nature increased participants’ performance in creative problem-solving tasks by up to 50% when combined with disconnection from multimedia and technology. Participants in the study who had spent three days backpacking in nature also showed greater overall creativity and cognitive functioning than others who hadn’t. In 2008, the term ‘nature-deficit disorder’ made its way into the vocab of health professionals worldwide via Richard Louv’s seminal book Last Child in the Woods. Amongst other findings, Louv’s book highlights the connection between decreased nature time and the rise of ADHD. Louv’s theory was supported by a study published in the same year which showed that children with ADHD scored higher on concentration tests after a short walk through a park than after a walk through a built-up area. The ecotherapy movement is a fairly new, outdoor-oriented school of thought which holds that the key to overcoming Nature Deficit Disorder (and variety of other mental and physical health issues), resides in getting ourselves out in nature for longer and more regularly, as explained in the very quirky little video below. Although the link has not yet been borne out fully, the same negative ions that have been shown to reduce depression, anxiety, and stress are also being touted as agents of increased mental alertness. These invisible molecules, which are abundant in leafy outdoor environments, do so by improving the flow of oxygen to the brain (which, even without the science, doesn’t sound as though it could ever be a bad thing!). Their opposite number, positive ions (which, counterintuitively, are the baddies in the duo) are more commonly concentrated in indoor environments and particularly those with electrical appliances such as televisions, air conditioning, and computers. Findings from a recent University of Michigan study have shown that interaction with nature can have similar effects to meditating. During the study, just a one-hour walk was shown to be enough to boost participants’ memory performance and attention spans by 20% compared to other participants who spent the same amount of time walking on city streets. Incredibly, similar results were achieved by participants in a 2005 study who merely browsed pictures of nature as opposed to actually heading out to experience the genuine article. A popular quote in meditation circles goes something along the lines of the following: the less time you have to do it, the more time you need to be doing it for. The same could be said with getting outdoors and spending time in nature. the less time you have to do it, the more time you need to be doing it for. When we feel overstretched, fatigued, or just plain snowed under by life’s many demands on our time and energies, instead of upping our efforts to meet those demands, a better solution may well be to work in a little bit (or big bit) of nature-time. As demonstrated above, doing so may well be far more effective in helping us deal with other obligations than by simply sucking it up and soldiering on. Below we’ve listed a few ways you can go about getting your fill of nature’s benefits even when your ‘me-time’ is at a minimum. If you think the ‘great outdoors’ are beyond your reach most days, a little bit of imagination might help to bring them closer, as long as you’re aware that ‘the outdoors’ needn’t always come in the form of Yosemite, Torres del Paine, or the Australian Outback to deliver the various goods outlined above. Wherever you are in the world and however busy you might be, brainstorm a few subtle deviations from routine that will take you to a happier, healthier, more natural place whenever possible. Given all of the benefits described above, we now have more reason than ever to put away the laptop, turn off the TV, turn down that invitation to happy hour, and head outdoors. By the looks of things, our physical and mental health, creativity, productivity, and general well-being might just depend on it. Nobody to go hiking, cycling or skiing with? Bereft of ideas for where to go? No matter how short on natural beauty spots or parks your area may be, there’s a good chance it’ll have a group or two dedicated to one activity or another: hiking, climbing, cycling, skiing, what have you. Finding a club or group will not only help you with transportation and no doubt provide some trip inspiration, but also throw in a touch of added motivation. Your new friends and fellow wanderers of the wild are just a Google search away! Even if you can’t make it to any of these, pull out your maps, get online, and ask around to find out where you might get your fill of outdoor-time without venturing too far afield. For some of us, the idea of plodding around in the hills or forest isn’t the most exciting or inspiring. For others, the high-octane buzz of more extreme outdoor activities is something we’d prefer to leave to our next incarnation, when we might be better equipped and more inclined to deal with their mental and physical demands. Whether it’s outdoor photography, hiking, a spot of fishing, kayaking or more high-intensity sports like skiing, ice-climbing, rock-climbing, or mountain biking, however, there are plenty of things you can get up to in the great outdoors. Follow your instincts, of course, but don’t be afraid to mix things up a little. That way you’ll have something to do all seasons of the year and never run the risk of your regular outdoor pursuits turning stale. Great piece. I’m happy to know about the benefits of outdoor activities and I can relate to this because I love travelling and going into an adventure. Thank you for sharing this.